C/ Ses Savines, s/n, 7530 Sa Coma, Spanje. 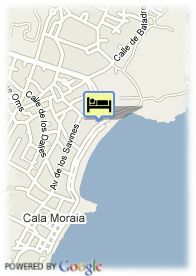 The Aparthotel THB Sa Coma Platja is located in eastern region of Majorca. 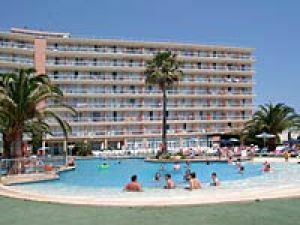 Situated in the tourist centre of sa Coma, on the beachfront, 68 Km from the airport. The hotel has recently been refurbished and its characteristics and comfort put it into the THB Class category. It has 154 apartments equipped with air conditioning, full bathroom, hair dryer, terrace, safe with charge, lounge, satellite TV and telephone.We offer this services: accommodation only, half board or all inclusive buffet service available. There is a café bar with a wide range of meals, snacks, ice creams, drinks as well as the Malibu Restaurant Pizzeria. We also offer internet connection, childrens play park, mini club, sun terrace, medical service by appointment. In the local area includes a shopping centre, supermarkets, boutiques, book shops etc. Near by the hotel you will find the famous Safari Park and the natural reservoir of Sa Punta de NAmer where we find a loto f autocton fauna and flora as wild horses. Voor babybedjes wordt 4.00 € per extra babybedje aangerekend.